There’s been a lot of discussion lately about diversity in science fiction, with a flurry recently (at least on my Facebook wall) of people reacting to K. Tempest Bradford’s I Challenge You to Stop Reading White, Straight, Cis Male Authors for One Year. I’m not particularly interested in entirely cutting out any group from my reading (and in any case that would be impossible since I’m not going to change my open submissions policy and submissions are about half of my reading—though we’re closed to submissions at the moment and won’t reopen until autumn), but I think Bradford is talking about something really important here. I read to learn, to connect, and to escape—sometimes all three at once. I want to read books from other countries and cultures and backgrounds than mine so I can have a more complete picture of humanity. I want to read widely and wildly. To that end, I want to read authors from other countries, other races, other sexual orientations, than my own. So, to share the joy, here’s are a few of the diverse books I’ve enjoyed recently. 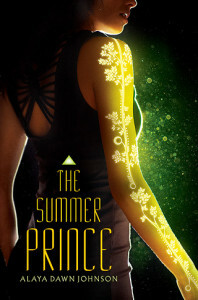 Alaya Dawn Johnson’s The Summer Prince puts us in a futuristic matriarchal Brazil, where men compete to become the Kings that die at the end of every glorious year and the Aunties are the ones who are really in charge. It’s about creative stagnation and what’s important in art as much as it’s about a revolution against a calcifying state, and I can’t stop recommending it to all my friends. BUY: Amazon ; Barnes & Noble ; Powell’s. 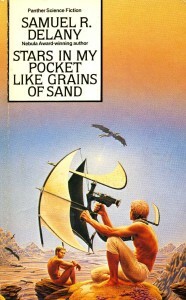 Samuel R Delaney’s Stars in My Pocket Like Grains of Sand was first published in 1984, but I first read it last year. I wasn’t particularly jazzed about the love story (which reduced love to eroticism) but was super excited about everything else: the sprawling space epicness of the protagonist’s diplomatic travel from world to world, the slow gorgeously-told reveals, the play with gender and race, and the essential danger of knowledge causing societies to melt down. 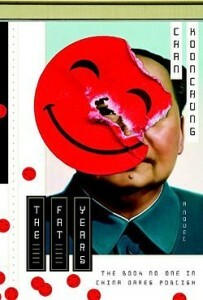 Chan Koonchung’s The Fat Years is a near-future (except in the past, since it was published in 2009) story set in post-global-economic-meltdown China where China has entered a golden age of prosperity, and everybody is tremendously happy for some pretty dodgy reasons. It is banned in China for talking openly about the Cultural Revolution, the Tiananmen Square massacre of 1989 and the Falun Gong suppression. I listened to it as an audiobook on a long drive, and was riveted. 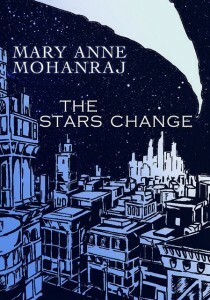 The Stars Change by Mary Anne Mohanraj is a far-future fast-paced novel with alternating viewpoints characters in a race against time to stop a bomb from destroying a populous area of a large city (and potentially also destroying the goodwill that allows interspecies cooperation on the planet). It’s also a love story and a story about the power of large families. I raced through it and found it tons of fun. 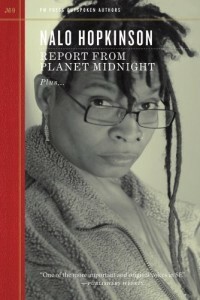 Report from Planet Midnight isn’t Jamaican-Canadian Nalo Hopkinson’s best book, but it’s the one I’ve read most recently and I thought it was pretty great, and it’s very short, so a good introduction to her Afro-Caribbean short stories. My favourite was “Message in a Bottle,” about an artist discovering how much his work comes to mean to the future. 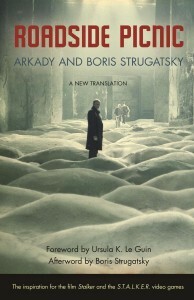 Roadside Picnic by Russian authors Arkady Strugatsky and Boris Strugatsky is a 1972 novel that I only found out about after it was re-issued in 2012. Aliens leave behind some garbage that makes the local area wildly unsafe (gravity sinks, hell slime, etc.) and our protagonist risks his life to steal an alien artifact from that area, and better his lower middle class existence. Solidly fun and surreal Soviet classic. 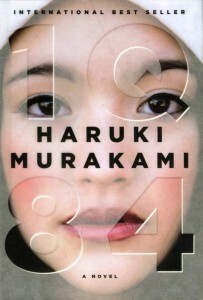 Haruki Murakami’s 1Q84 was celebrated widely when it came out so you probably already know about it, but it’s so excellent I couldn’t leave it off this list. A young woman enters a parallel dimension very similar to ours, and meets there a childhood friend who is ghostwriting a book by a dyslexic teenager who has a vision of another alternate reality. It starts slow (lovingly-described meal assembly can take paragraphs), but stick with it. Gorgeously-written, marvelous fantasy novel. RJ Astruc (New Zealand, and whose steampunk short story collection Signs Over the Pacific and Other Stories we published as an ebook last year). Through a typo (I put 2/16/15 instead of 3/16/15) that Amazon refuses to fix, the book is available now in paperback on Amazon, in advance of the 16 March release date when it will be available everywhere. BUY: Amazon (and Kindle pre-order); Kobo pre-order. That’s just dipping your toe in… my to-read list also includes Kabu Kabu by Nnedi Okorafor, Night Watch by Sergei Lukyanenko, Omon Ra by Victor Pelevin, the Ice Trilogy by Vladimir Sorokin, A Stranger in Olondria by Sofia Samatar, Ink by Sabrina Vourvoulias, The Three-Body Problem by Cixin Liu, This Is How You Lose Her by Junot Diaz, The Lost Girl by Sangu Mandanna, Half-Resurrection Blues: A Bone Street Rumba Novel by Daniel José Older, and Spirits Abroad by Zen Cho. 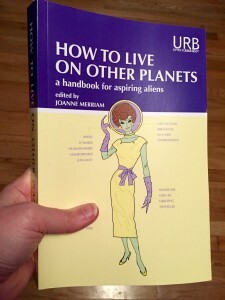 Our Kickstarter campaign for How to Live on Other Planets: A Handbook for Aspiring Aliens closed with $3,488 pledged, which, after we pay Kickstarter and Amazon (for credit card fulfillment) and contributor royalties, netted us about $2,500, allowing us to order a very small print run of the anthology, and pay for some promotional materials (business cards, flyers, etc.) for the AWP conference in Minneapolis in April. Look for us at Table 1919. 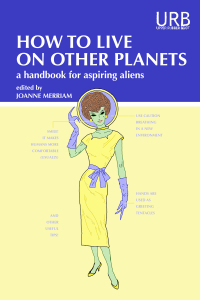 How to Live on Other Planets also has a page on Goodreads, and is available for pre-order for Amazon Kindle. We announced the table of contents for Choose Wisely: 35 Women Up To No Good, which includes luminaries like Joyce Carol Oates, Aimee Bender and Diane Cook. Complete list is here. Also, as always, there’s new reading out from, and news for, Upper Rubber Boot authors since our last round-up at New Year’s! Apocalypse Now: Poems and Prose from the End of Days contributor Brian Evenson has translated Incidents in the Night Book 2, by French artist David B. His fellow contributor Kelly Link has a new collection of short stories: Get in Trouble, which has been reviewed quite favourably. Choose Wisely: 35 Women Up To No Good contributor Andrea Kneeland‘s How to Pose for Hustler is out in a month and is already getting rave reviews from Roxane Gay (“Kneeland’s remarkable, razor sharp short fictions”) and Lindsay Hunter (“It’s a how-to for people trying to be people, trying to figure out how to live despite the darkness and confused desires that are too often mistaken for light. This book is a headlamp, and it is also the darkness. I could not put it down.”). How to Live on Other Planets: A Handbook for Aspiring Aliens contributor Ken Liu (who had a very, very short story in 140 And Counting) has a translation of “Folding Beijing” by Hao Jingfang in Uncanny. io9 recently discussed his translation of Cixin Liu’s The Three Body Problem. His fellow contributor Daniel José Older‘s new book Half-Resurrection Blues was called “fresh and richly envisioned” in Publishers’ Weekly. Finally, Sarah Pinsker‘s “Beauty and the Baby Beast” was in Daily Science Fiction.